This project addresses the need for an institutional program for entrepreneurship education in Egyptian universities. This project addresses the need for an institutional program for entrepreneurship education in Egyptian universities. The vision is to foster an entrepreneurial and innovative culture through a world-class curriculum, delivered to the highest standards, in all Egyptian public universities by the year 2014. 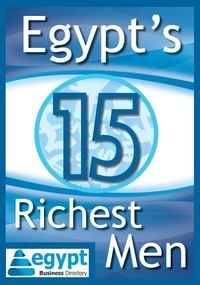 At the country level, although almost 17% of university graduates in Egypt are involved in entrepreneurial activity, Egypt has one of the lowest penetrations of entrepreneurship education in the formal education system among 31 countries participating in the Global Entrepreneurship Monitor (GEM) study in 2008. Most of the pepple starting businesses in Egypt are doing this without any formal orientation entrepreneurial process or know-how or how to start a business. All whitepapers are available to you and free of charge. This whitepapers is provided by Ashraf Sheta.